The Small Scale Pilots “Spatial Geometry” and “FAB LAB” were experimented by a selection of learners at “G. Da Procida” on March 08-09 and 12-14. During the “Spatial Geometry” days (March 08 and 09), the learners were fully immersed in a 3D spaceship composing of a central room and two side rooms and learned some theoretical concepts about two quadric geometric shapes, Sphere and Ellipsoid. 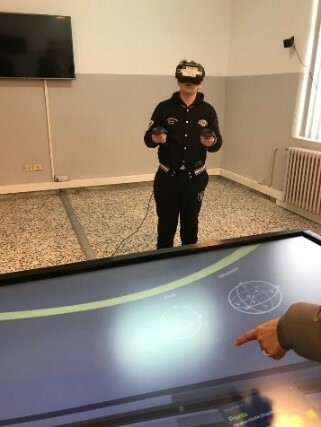 By using HTC-Vive technology (Immersive Virtual Reality) learners had the possibility to move within these rooms and directly handle the shapes making cuts and visualizing in detail the related sections that have been created. Each room offered the visualization of a real object representing the quadric shapes and a quiz area where learners evaluated own learning knowledge. This has been a great, amazing and educative experience that allowed learners to find out a new learning mode where they were the active participants and that have stimulated different senses for enhancing their learning about STEM subjects. 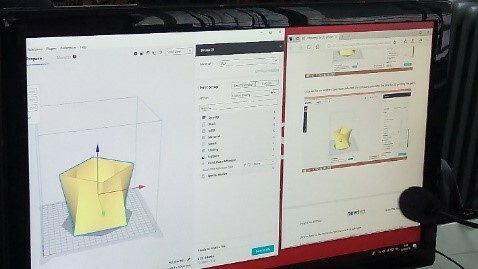 During the “FAB LAB” days (March 12, 13 and 14), the same learners learnt how to graphically design 3D geometrical shapes and to prepare them for 3D printing through the two, simple, professional, purposed softwares FreeCAD and Ultimaker CURA. As challenge, learners were asked to design square-based and triangle-based ceramic vases. 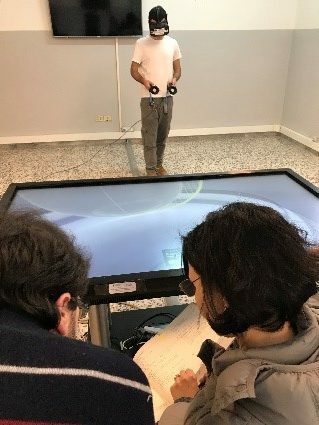 They trained and were familiar with concepts related to visualization, zooming, creation and transformation of primitive objects and Boolean operations. They also practiced on how to change dimensions and assign properties to the new 3D model. 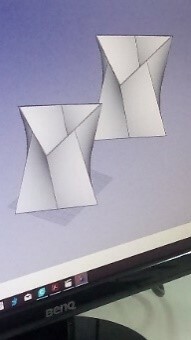 Once they finished, they saved the original design files and export the stereolitographic files to be 3D printed. Finally, they uploaded the original files and the stereolitographic files on a specific cloud hub which will empower the next generation digital fabrication labs coming from the NEWTON Project. 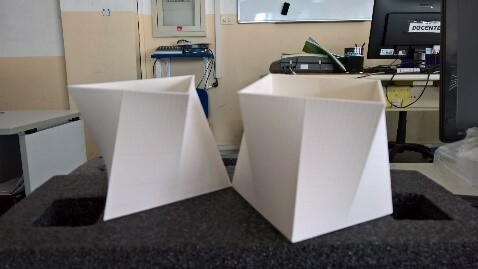 Some shapes have been finally 3D printed by CEU San Pablo FAB LAB in Madrid (Spain) and forwarded to G. Da Procida Institute, for the foreseen practical-demonstration last step of the experiment.